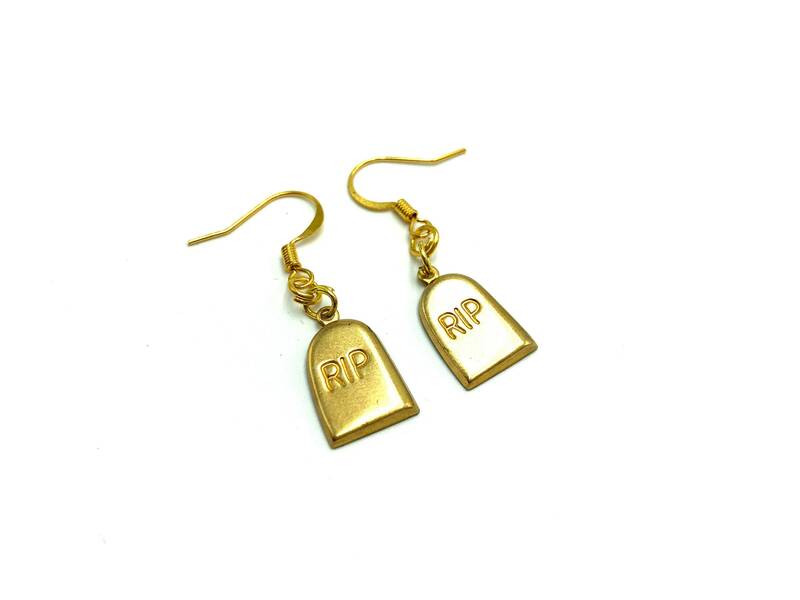 These tombstone earrings are incredibly lightweight. Lead and nickel free. Stainless steel ear wire. Brass charm. These earrings are absolutely perfect for Halloween! Great seller, couldn't be happier. Thank you!